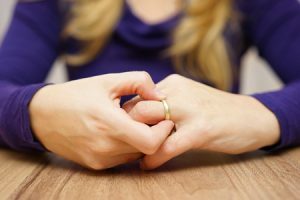 Are you having trouble letting go of a bracelet that was given to you by your ex-girlfriend or an engagement ring that was given to you by your ex-husband? It’s completely understandable. In the aftermath of a romantic split, a divorce, or a breakup, it’s natural for people to want to hold on to a piece of vintage or modern jewelry that was given to them. In a lot of ways, that jewelry might feel like the only thing you have left to show that the relationship ever existed. There are so many feelings and emotions tied to a gift like this, specifically guilt, which is why people are often hesitant to let go of the jewelry and sell it even though they don’t wear it anymore. If you find yourself feeling this way, you should embrace the power you have in the situation. Rather than feeling a sense of guilt over the jewelry or struggling to come to terms with what you should do with it, you should consider using the jewelry to get closure. By taking steps to get rid of the jewelry, you will be actively pursuing happiness again and doing your part to let go and move on with your life. Very few people sell an engagement ring or another piece of jewelry they received from a past love and regret it. More often than not, they are glad they chose to close a chapter in their life. Even if they don’t necessarily realize it, the jewelry many times impacts their ability to push forward. It’s why so many people are thankful when they are able to turn a source of sadness into something that ultimately makes them happier than they ever thought they could be. If you have an engagement ring or another piece of vintage or modern jewelry you are ready to part ways with, Frank Pollak & Sons would love to speak with you about it. You can move on with your life by selling it and getting rewarded for your act. Call 800-342-3878 to sell your jewelry with us today.